The price you see quoted above is for the hire fee only. A security deposit, GST and delivery charges will need to be added to any payment due. Please see full terms and conditions. For Hire - Polyester Round Tablecloths Decorations, for attractive table trimmings to any small or large wedding, special event or party. 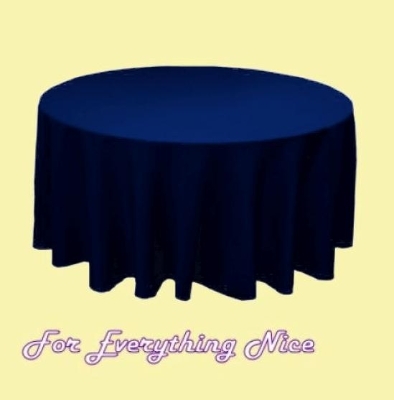 Heavy Polyester Tablecloths, for attractive table decorations to any small or large wedding or any special occasion or event. Decorate your table with these beautiful polyester tablecloths. These are reusable and very durable. These elegant tablecloths add elegance beautifully for all your reception and ceremony decorating needs. These tablecloths are easy to use, high quality materials and add that special touch of colour and class to your tables. 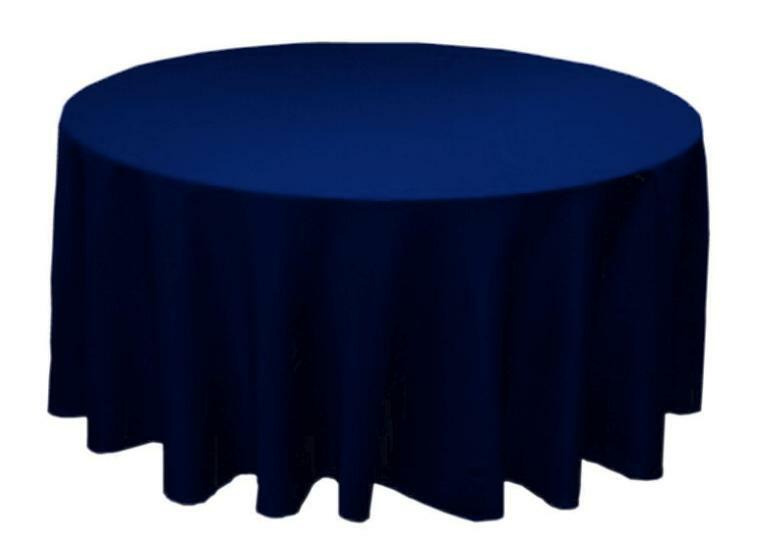 Each Polyester Tablecloth measures approximately 177.80cm (70.00 inches) in diameter. Please note sometimes that the colours in the photos can appear a little less vibrant out than with the real tablecloths. Please note that because of the heavy nature of the polyester fabric make these tablecloths very heavy. Especially when there is more than one. Minimums – I have hire packages for 5 tablecloths, 10 tablecloths and 25 tablecloths. If you need a different number than this, please enquire. The minimum hire number for tablecloths is 5 pieces. If you need a smaller number than this for your event, then please enquire about purchasing them. Please allow enough time for items to be ordered and arrive as necessary. These tablecloths are quite heavy in weight – in some cases more than one parcel will need to be sent. The shipping cost may be less if product is sent from within Australia - dependant upon availability - Please enquire. In some cases, more popular colours and some more rarer ones run out of availability very quickly - in these instances - please allow extra time for your order. These wedding table runners are also available for purchase through my store please see relevant listings for different pricing and delivery requirements.